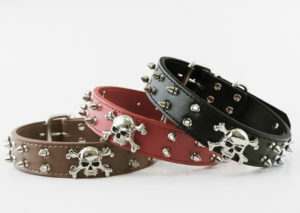 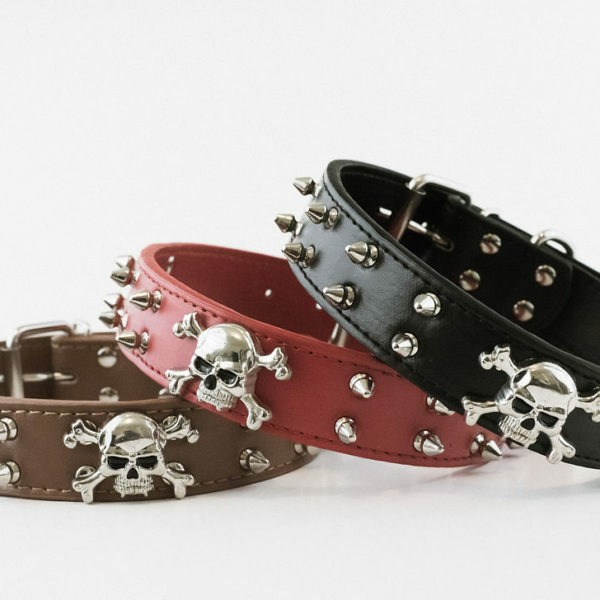 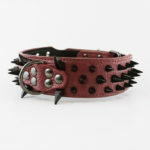 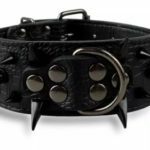 Show everyone that your dog is truly “bad to the bone” with this spiked dog collar with skull and crossbones. 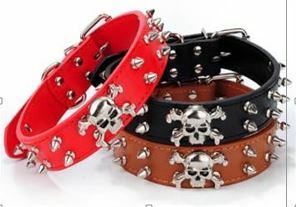 This sturdy collar measures two rows of metal spikes, and a 3D metal skull and crossbone. 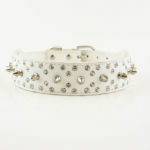 Available in Black in sizes Medium and Large. 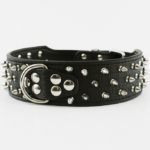 Large Measures 1.3″ x 23″, and fits neck size 17″-21″.